Go ahead. 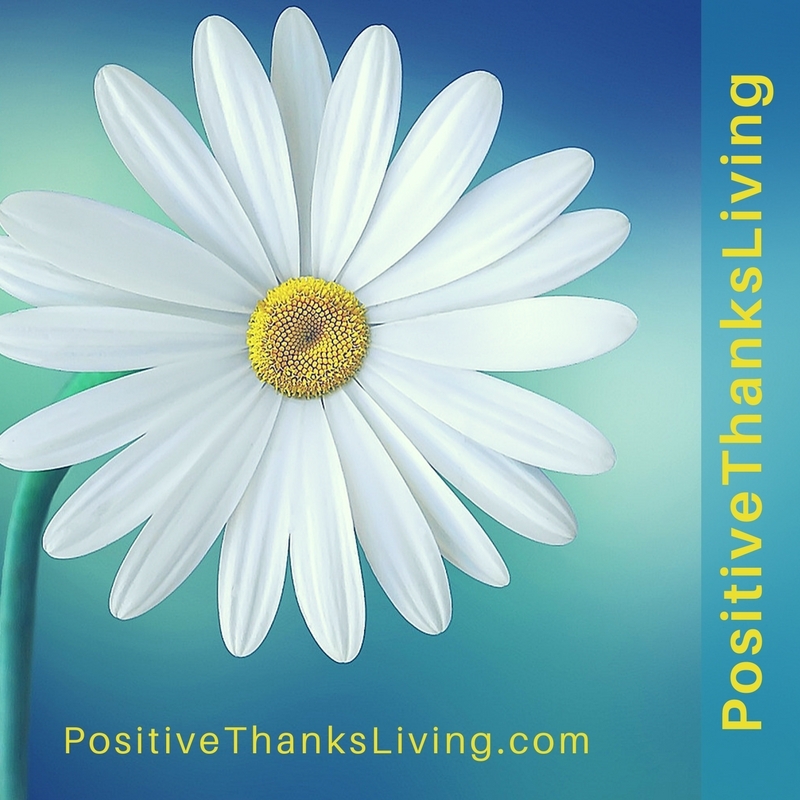 When you’re practicing realistic optimism it’s part of the process to identify and acknowledge the constraints. Because there will be obstacles and issues. Bad stuff happens. We have dilemmas and barriers. What you do after you’ve identified the constraints makes all the difference. 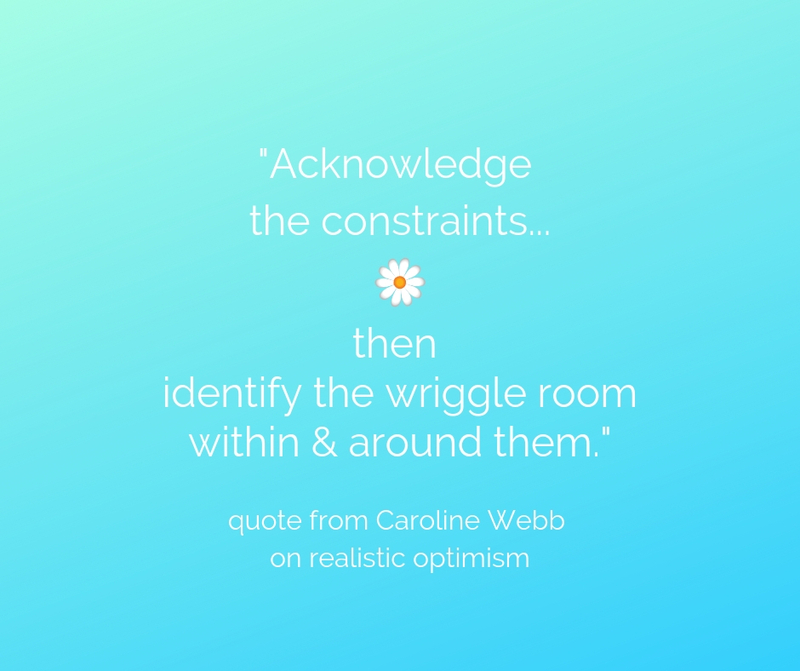 Here’s a short video by Caroline Webb on realistic optimism – please invest a few minutes to watch it! This process is what she calls realistic optimism. What’s the first step toward to ideal? 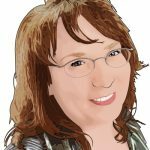 where have you succeeded before – use that! how and what have you learned from past endeavors that you could translate to this? 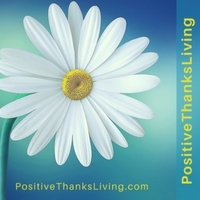 who could help you get a step toward your ideal? 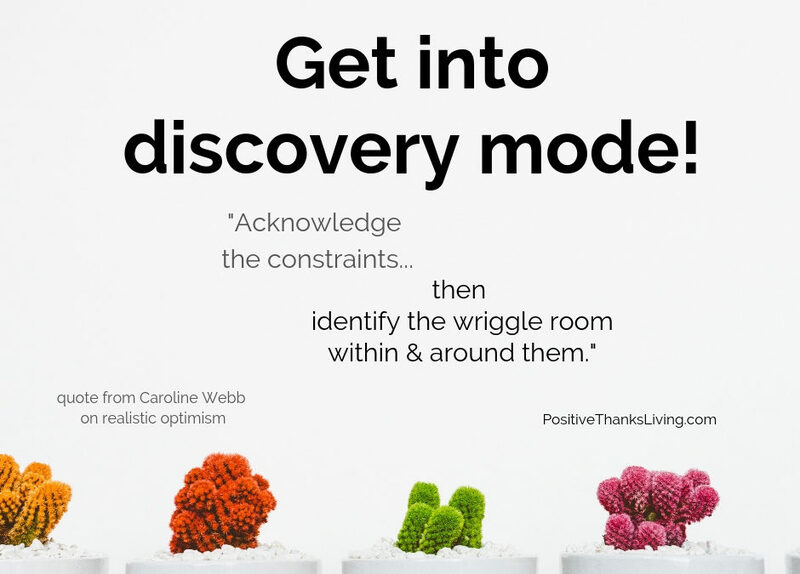 In which area do you need to enter discovery mode? In which areas could you get out of your fight or flight mode and into discovery? 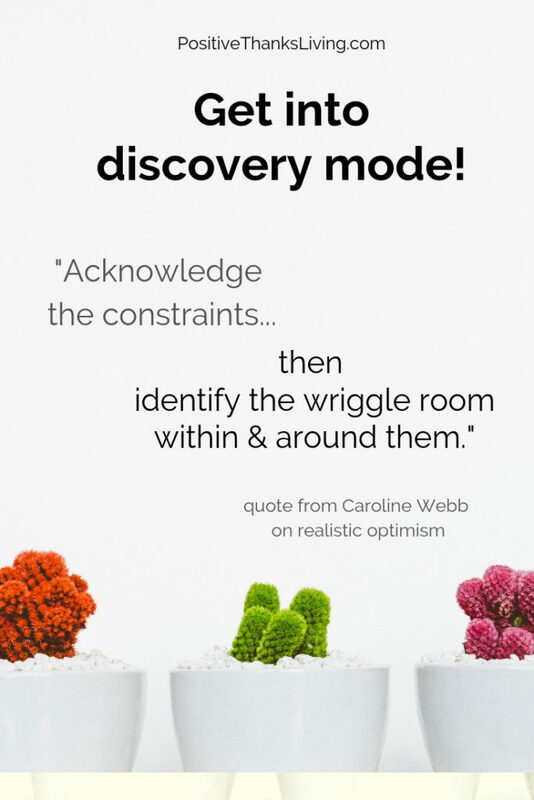 Where can you identify the constraints and move on toward the ideal situation? Leave a comment! On a personal note, perhaps one of the reasons I found this interesting is because of my values. Rob and I have identified three shared values as a couple: Loyalty, Optimism, and Discovery. We use our values when we make decisions. If you’re interested, you can read more about this idea of shared values and our value of discovery HERE.